Do you want your eyes to look gorgeous? Want to make them as charming as you ever can? Eyes are the most beautiful part of a woman, and the best way of beautifying one’s eyes is by using eyeliner! But then, how can you get that eyeliner right? Well, there are certain tools that can help you get the job done! Want to know what they are? Go ahead with your read! Pointed eyeliner brushes help one draw a precise, neat line. The brush has a defined end, which helps one draw thick or thin lines easily without creating a mess. The added benefit of using eyeliner brushes is that it prevents your eyeliners from getting contaminated. Dip the brush into the eyeliner bottle and then start drawing short strokes across your eyelids. Connect it by layering the product once again. If you end up with excess product on your brush, then remove it with a clean tissue paper before applying it to your eyes. The Angled Bent Eyeliner Brush helps one draw a precise, thin line, which gives a ‘no eyeliner’ look. This eyeliner tool has its brush end bent and angled to effortlessly draw lines on your eyes. It also helps in drawing the perfect winged eyeliner. Use the bent side of the brush to draw a line along your lash line and turn the brush at an upward angle to create a wing at the outer end. Pull the outer corner line towards the centre of your eyelid to create a small triangle. Fill it with the eyeliner, and you will have a perfect winged liner look! What? A cello tape for makeup? Well, yes! If you are a beginner in makeup, then applying eyeliner is no less than fighting a battle! But if you are smart you can win the battle. In the process of application of the eyeliner, you always notice them in weird places outside your eye area. This tip will save you from it. Apply your favorite liquid or gel liner to the upper lash line as you would regularly do ─ from the innermost corner to the end of your eye. Now, take a piece of cello tape and apply it to the outermost corner of the eyes. Then, follow it up by doing the “Wing” part with the cello tape to create a perfect winged straight line for you. You could also use the cello tape and create your very own winged eyeliner stencil. And this is how! Simply cut out a small piece of cello tape and place it on your top lid. Remember to angle your cello tape from the innermost corner of your eyes towards the outer corner of your eyebrow. Then, place another piece of cello tape below the bottom lash line. Carefully place the cello tape as we don’t want to trap any eyelashes under it. Please don’t forget to place the bottom cello tapeat an angle, which intersects with your top cello tape. And then follow it with your favorite eyeliner. It needn’t be very neat and precise as the cello tape is guiding your eyeliner! Leave it for a minute to let the eyeliner dry and then peel off your eyeliner stencil. And you have created a perfect eyeliner look like a pro makeup artist! Cotton swab is a small wad of cotton wrapped around the ends of a short stick. It can be of great help. But many would not have thought that cotton swabs can also turn out to be a must-have in a makeup vanity case. Yes, you would require them to fix your eyeliner mistakes. This makeup trick will surely blow your mind! It is dedicated to people who are taking baby steps towards doing makeup. You won’t need any makeup remover or water for this trick. Once you have completed doing your eyeliner or mascara, the next step is to correct the mistake. As eyeliner and mascara formulas set and dry faster, you would have to try and quickly fix your mistake. Simply correct the eyeliner or mascara mistake by grabbing a clean cotton swab and then, place it over the mistake and create soft to and fro motions to remove it. And you are done! Today, pen styled liquid eyeliner markers are easily available in the market. They resemble sketch pen markers that we once used for our art classes. 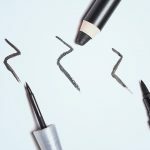 The design of the tool makes eyeliner application super easy. The felt tip liquid eyeliner can change your look from soft to intense in an instant. The pen styled eyeliner tip is pointed and gives effortless control and distributes the perfect amount of liquid in one glided move. So, it makes the difficult task of drawing the eyeliner as simple as painting! Getting your eye makeup right is the first step towards looking gorgeous. 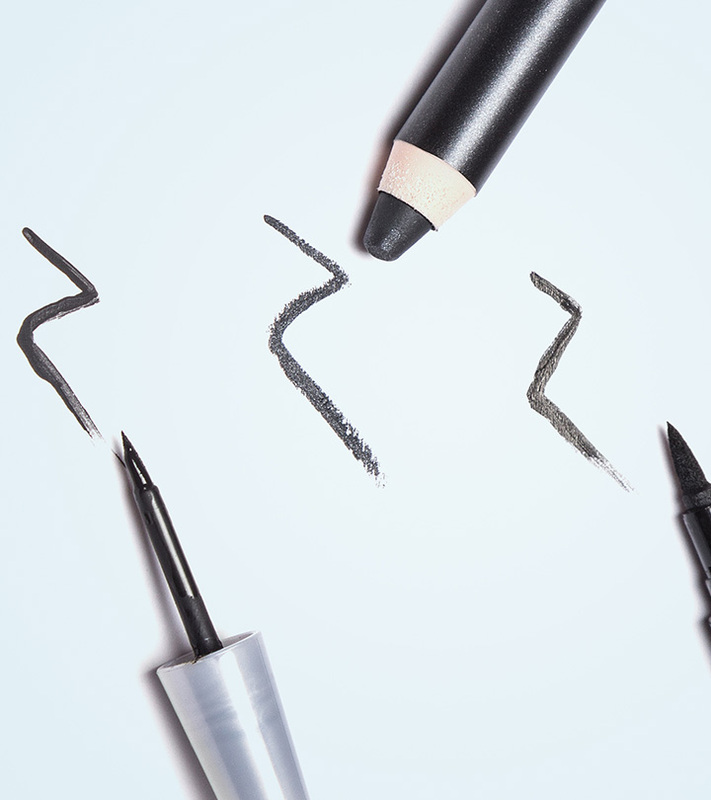 With these simple tools, applying eyeliner will be a piece of cake for you! So, get beautiful! And stay that way, always! Now that you know how to apply eyeliner perfectly, let us know if you’ll give it a try.Do you know any other ways to apply eyeliner perfectly? Share with us in the comments section below!